January | 2010 | Shelf Elf: read, write, rave. My thoughts ran something along these lines, “Oh here’s a story that couldn’t stand on it’s own two feet so it’s been jazzed up with snazzy extras in order to get readers’ attention. Pshaw!” Well, I am not one who is afraid to admit to a mistake. I was wrong about Paisley. So very wrong. I am now a Paisley Hanover groupie. And author Cameron Tuttle? I am watching your every move (in a non-stalker-ish way, never fear). Paisley Hanover begins her sophomore year with the idea that it will be perfect. She has been accepted into yearbook, and she’s ready to meet all of the cool and super smart kids in the class. But then, tragedy strikes. She gets booted out of yearbook and into drama, the place where the geekiest geeks congregate. This is just the beginning of everything not turning out according to Paisley’s perfect plan. The friends she thought were her friends forever, are not the people she thought she knew. The drama geeks? At least a few of them seem to have shades of cool and might be friendship material. Suddenly Paisley isn’t sure about the social order that she’s been buying into for so long. The “pops” (A-listers) and the “un-pops” (everyone else) seem to be a lot less defined than they once were. Paisley discovers that deep within her formerly popular self beats the heart of an indie-girl, with an unpop spirit. This leads Paisley to unexpected, radical action. Will she become the heroine of the un-pops? Will she change the definition of popularity forever? She has no idea, but that’s not stopping her. I love a book that is funny but also makes you think. Laugh-out-loud but sneakily thought-provoking. At first glance, I think a lot of people (myself included) might imagine that this book is just fluff, but it’s not. It’s clever. 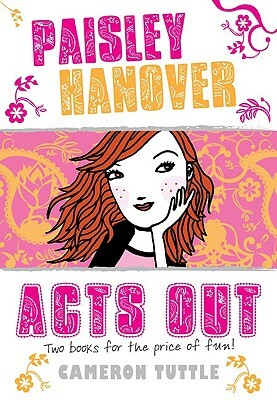 Paisley is an awesome, unconventional, thinking girl who discovers what is possible when you’re open to new experiences and when you question what nobody else has the guts to fight. There is a convincing and consistent quirkiness to this book, and the secondary characters really stand out. There’s wisdom too, but communicated with lightness. This book is brilliant in audio format. It’s hilarious, with speedy chapters, and I think that listening really makes you appreciate the consistency and cleverness of the voice. After just a few minutes, I was thinking it is a lot like Glee, in book form. Weird kids, popular kids, wacky teachers, laughs and lots of drama. I can’t wait to see what happens to Paisley next. Good thing Book 2, Paisley Hanover Kisses & Tells, is slated for July. 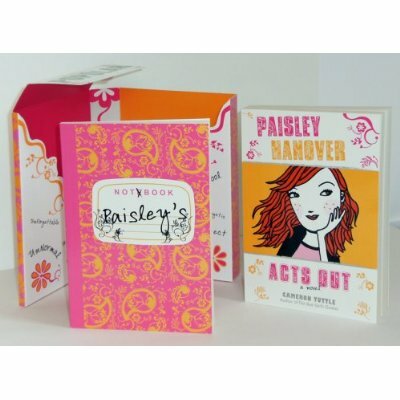 Paisley Hanover Acts Out is published by Dial books. This entry was posted in Teen/YA on January 31, 2010 by shelfelf. 1) Cindy Pon does Chinese Brush Art – beautifully. See? 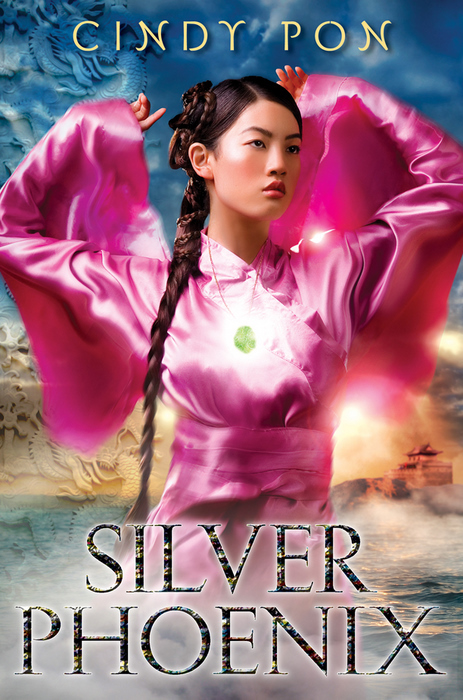 2) Silver Phoenix was named one of Booklist’s Top Ten Sci-Fi/Fantasy Books for Youth for 2009. That’s quite a list. 3) A great interview with Cindy at Into the Wardrobe and another at the YA YA YAs. 4) A lively discussion on Fantasy Tropes, moderated by Cindy, over at The Enchanted Inkpot. 5) Cindy interviews fellow Fantasy author, Kristin Cashore at The Enchanted Inkpot. This entry was posted in Just Cool on January 29, 2010 by shelfelf. 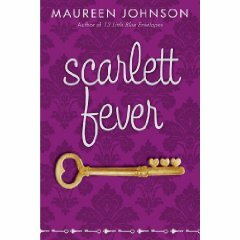 If you adored Maureen Johnson’s Suite Scarlett (I did, and I’d be very worried about you if you didn’t), then you will be happy to hear that you have only 5 days to wait until you get more of Scarlett in Scarlett Fever. And more of Scarlett also means more of her crazy talented brother Spencer and the delightfully kooky Mrs. Amy Anderson, and Scarlett’s oddball family and the rundown charm of their home, the Hopewell Hotel. The focus this time around is love (hence the itsy bitsy hearts on the room key on the cover) – mostly Scarlett’s love life, broken down as it is. There’s Eric, her sort-of-onetime boyfriend, who is still in the picture (sort of), and then there is Max, Scarlett’s new, infuriating / irresistible lab partner. As in the first book, much of the pleasure here is in the family relationships. They are dynamic and quirky and genuine. I found this follow up to be a pleasing romp, with a good deal of trademark Maureen Johnson cleverness to please fans, though perhaps with not quite so many perfectly put observations about the foibles of human nature as can be found in Suite Scarlett. Deceptively light. The tub is now full. I’m done. Scarlett Fever is published by Point, an imprint of Scholastic. This entry was posted in Teen/YA on January 27, 2010 by shelfelf. 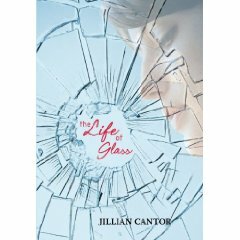 Today Jillian Cantor is making a stop at Shelf Elf for her current blog tour, in celebration of her latest novel, The Life of Glass. Jillian’s first novel, The September Sisters, was published to much acclaim and now The Life of Glass is set to be released in February. You can read my review of The Life of Glass here. Welcome Jillian! In The Life of Glass, your main character Melissa changes her thinking about what it means to be beautiful throughout her freshman year of high school. Describe this transformation. In the beginning of the book, Melissa really has no interest in being “beautiful” in a traditional sense. She’s not interested in make-up or doing her hair or dieting, quite unlike her older sister and her mother who both are/were in beauty pageants. In fact, Melissa thinks there are two kinds of people in the world: beautiful people and good/smart people. But over the course of the book she comes to realize that it isn’t always one or another; sometimes you can be a beautiful person on both the outside and the inside, and also beauty is sometimes more about how you feel than how you look. If you could give advice to young women on the subject of beauty and self-perception, what would it be? Don’t try and compare yourself to women you see in magazines. A lot of those images are impossible, air-brushed, unreal. In fact, don’t try to compare yourself to anyone. Find things to love about yourself, and love them because they’re yours! What people / places / objects / music / artwork do you find beautiful in unconventional or unexpected ways? I’ll talk about this a little bit in response to your next question, too, but the desert definitely is a place that you might not expect to be beautiful, but I think there’s actually a lot of beauty in it. As for people, I find images of happiness to be beautiful: laughter, smiles. There is nothing more beautiful to me than my children when they’re laughing. I also think older people who have allowed themselves to age gracefully and naturally are really beautiful. So many people are obsessed with trying to rid their faces of wrinkles or cover up gray hair, but I like the way these things show experience and life and personality. There are stories in there, beautiful stories; why hide them? It feels significant that you chose to situate your novel in a desert landscape, where beauty is not as showy or as obvious as it can be in other places. Why did you choose this location for your novel, and how do you think it connects to the themes around beauty that you explore in your book? Well, quite honestly, I chose the desert setting before I knew exactly what the book would be about. I grew up in Pennsylvania, and until this book, I set everything I wrote there. But I’ve lived in the desert for most of my adult life, and I was itching to write a book that takes place here. There’s so much unique in the desert and the landscape that I wanted to see what would happen if I took the landscape and incorporated it into a novel. This entry was posted in Interviews, Teen/YA on January 26, 2010 by shelfelf. Jillian Cantor’s The Life of Glass is a quiet and poetic novel. If you like a story that is all about character and offers thoughtful exploration of complex themes, then this is a book you will want to read. 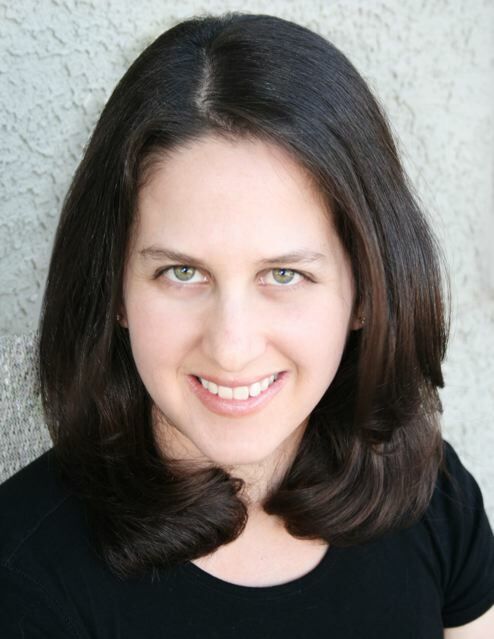 I imagine that fans of Beth Kephart’s writing will find themselves pleased by Jillian Cantor’s style. Both writers pay attention to detail, and you get the feeling that every chapter has been crafted just so. Before he died, Melissa’s father told her about stars. He told her that the brightest stars weren’t always the most beautiful—that if people took the time to look at the smaller stars, if they looked with a telescope at the true essence of the star, they would find real beauty. But even though Melissa knows that beauty isn’t only skin deep, the people around her don’t seem to feel that way. There’s her gorgeous sister Ashley who will barely acknowledge Melissa at school, there’s her best friend Ryan, who may be falling in love with the sophisticated Courtney, and there’s Melissa’s mother who’s dating someone new, someone who Melissa knows will never be able to replace her father. To make sure she doesn’t lose her father completely, Melissa spends her time trying to piece together the last of his secrets and completing a journal her father began—one about love and relationships and the remarkable ways people find one another. But when tragedy strikes, Melissa has to start living and loving in the present, as she realizes that being beautiful on the outside doesn’t mean you can’t be beautiful on the inside. From the beginning of Cantor’s book, you know you are in for fine writing. 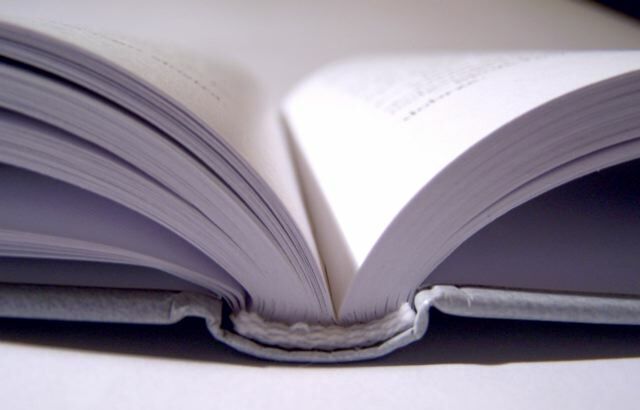 The first chapter itself is as well-crafted as a good short story. On its own it would be whole and thematically rich. It introduces threads of what will be explored more fully later, and the completeness of it made me want to go back and read it through again from the first page. I appreciated that even though the writing style of this book is quite poetic in places, the narrative feels entirely realistic, never forced, and it stays rooted in Melissa’s experiences and her way of seeing the world. Through her novel, Cantor raises rich questions around life’s permanence and impermanence, and she invites readers to compare the fragility of human relationships to the natural world. The Life of Glass is also as much about beauty, and what it means to be a beautiful person, as it is about loss and letting go. You can read some of Jillian’s thoughts on beauty in general, and its place in her novel, here. I imagine these subjects would make The Life of Glass a superb choice for a teen book club. I found Mel and Ryan’s friendship to be one of the more complex, touching and natural boy/girl relationships I’ve read in a while. 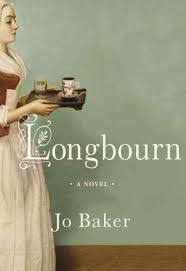 It is a huge strength in the book, and one of the most rewarding aspects of a wholly satisfying novel. One of the most interesting aspects of this book for me was how it invited me to consider the potential for life to surprise, as well as the role of fate or serendipity in how things unfold. Speaking of fate, kind of cool that Jillian realized the cover image reminded her of someone. Read about that coincidence here. I like a book that manages to pack a lot of complexity into a slim package. In my mind, that suggests a truly talented writer. The Life of Glass is the perfect read for someone who is after a story worth contemplating, and worth reading slowly. The Life of Glass is published by Harper Teen. This entry was posted in Teen/YA on January 24, 2010 by shelfelf. A small, perfect poem for winter. This entry was posted in Poetry on January 22, 2010 by shelfelf. I so much want to read Malinda Lo’s Ash. Reading Rants’ review makes me want to even more (if that’s possible). Mitali Perkins gives me 10 more reasons to pick up Marcelo in the Real World (I already had about 50). Kidsmomo offers an Ode to the Mysterious Benedict Society (done book 1, but haven’t tried 2 and 3 yet). How have I not yet read Frank Cottrell Boyce’s Cosmic? This is very, very wrong. Fuse #8 reminds me why. (Framed and Millions are two of my best loved books). Flash Burnout wasn’t really on my radar until this week. Now I don’t just want to read it because it won a prize. I want to read it because bloggers like Liz liked it. Lots. This entry was posted in General on January 19, 2010 by shelfelf.